On February 3, 1947, Frederick and Anne Davies brought the youngest of their eight children into the world. David Russell Gordon Davies had a brother, Ray, who was three years older and six sisters. The Davies family lived at 6 Denmark Terrace in North London, a home that was filled with music from all ages, styles and genres. More often than not, there would be huge musical parties in the front room (where the piano was!) on Saturday nights, with people playing music and laughing and drinking and singing. Growing up in this atmosphere, who wouldn’t make music a huge part of his or her life? Dave and Ray formed bands during their days at William Grimshaw Secondary school – for a brief while their lead vocalist was fellow school student Rod Stewart – and when Ray left to attend Hornsey College of Art, Dave started a new group, The Ravens, with friend and band mate Pete Quaife on bass. When Ray quit school in 1963, he became part of the group, which managed to get a contract with Pye Records. About the same time they hired on Mick Avory, a local jazz drummer who’d played a gig with the still-forming Rolling Stones. And they also changed their name to The Kinks. The Kinks recorded and released two singles, a cover of Little Richard’s “Long Tall Sally” and “You Still Want Me,” an original song written by Ray. When neither song managed to make the charts, Pye gave the group an ultimatum – they would annul the contract if their third single wasn’t a success. Under pressure from Pye, Ray became a force to be reckoned with – insistent on getting both the band’s management and producer (Shel Talmy, who would go on to produce the Who’s first albums), as well as the record company to give the band the time (and money) needed to record the group’s third single as he heard it in his head. Ray wrote a new song and the band recorded it in several styles over the early weeks of the summer of 1964. Dave created the distorted guitar sound, one that would soon be the ideal tone for all rock guitarists, by slicing the speaker of his amplifier with a razor blade. And he played a burning solo that would also create as much legend as the song itself in a single take. “You Really Got Me,” released in August, 1964, reached Number 1 on the British charts and later made it to Number 7 on the American charts as well. For the moment, all was well between the band and Pye. In fact, “You Really Got Me” was the first of thirteen singles the Kinks would release over the next three years, all charting in the top fifteen on the British charts, with nine of them landing in the top five positions. The band released its first album, Kinks, in October 1964 (which charted at Number 4 in Britain) and extensive touring followed. Stories of the group’s numerous fights and misfortunes are also numerous and, in some instances, legendary. They received a four-year ban from touring in the United States from the American Federation of Musicians, which pretty much limited their exposure to the radiowaves in America. And while Ray’s songwriting and the Kink’s musicality was much appreciated in their homeland that same respect didn’t carry over across the water. Case in point: When the Kinks released the single “See My Friends” at the close of July, 1965, the single got both critical and public acclaim. Reaching Number 10 on the charts was nice, but having Pete Townshend say “‘See My Friends’ was the next time I pricked up my ears and thought, ‘God, he’s done it again. He’s invented something new. '” While the song used guitars instead of sitars, its Indian-inspired music was influential on all of the Kinks’ contemporaries. But in America, “See My Friends” couldn’t even crack the top 100, peaking at 111. Similarly, the sublime single “Waterloo Sunset” didn’t chart at all in America even though it reached Number 2 in Britain. Ray continued to grow and evolve as a songwriter. As his songs became wry observations on life and society, he led the Kinks through many stylistic changes, from the folkish “Dedicated Follower of Fashion” to the bleak and jazzy “Dead End Street.” But while his skills as a writer and producer were improving, his mental health was succumbing to the pressures of touring and the rushed record-it-all-in-one-go pace of the studio. He suffered a nervous breakdown late in 1965 and seriously considered leaving the band. But not really leaving it. He could still stay on as writer and producer and play in the studio, letting Dave front the Kinks. In the summer of 1967, the Kinks recorded “Death of a Clown,” a song written by both the Davies brothers and released as a Dave Davies solo record. The song reached Number 3 on the British charts and for a while there was talk of Dave becoming his own solo act. But subsequent singles did not fare as well and the project was shelved. Dave did contribute two of his own songs (“Love Me “˜til the Sun Shines” and “Funny Face”) to The Kinks’ 1967 release, Something Else. The band was doing little touring, working instead in the studio to mixed results. Ray was taking total control of the production duties and while Something Else (co-produced with Shel Talmy) and their 1968 album The Kinks Are The Village Green Preservation Society, fared poorly commercially in spite of almost universal critical acclaim and both albums are now considered masterpieces. Surprisingly, over time The Village Green Preservation Society became the Kinks’ best-selling non-compilation album! At the time, though, the biggest concern was that the record company had given Ray close to total control over making the record and he produced an album that didn’t have a single hit on it, although the bittersweet ballad “Days,” which appeared on the continental European version of the album, did hit Number 10 as a single in England. Their next album, Arthur (or, The Decline and Fall of the British Empire), brought more of the same to the Kinks. Critics thought it was their best album yet but the charts told another story. Surprisingly, Arthur did better in the US than in the UK, where none of its singles even charted. Ray, who had been asked to produce the final studio album for The Turtles, took advantage of his trip to the States to negotiate an end to the band’s performance ban in America. Being able to tour in support of Arthur nicely paved the way for the group’s follow-up, Lola Versus Powerman and the Moneygoround (Part 1) to get the band back on the singles charts on both sides of the Atlantic. While working on Arthur, the Kinks also put together a number of songs intended for Dave’s long awaited solo effort, which again came to naught in terms of being finished or released. Successful as “Lola” (the single, not the album) was, the Kinks never regained the commercial popularity they had in the mid-sixties. The band went theatrical for a while and then led the charge into “arena rock” with their late 1970s albums. While none of their albums after Something Else made the British charts, the group’s performance on the US album charts was certainly respectable, particularly between 1979 and 1983. Low Budget hit Number 11, Give the People What They Want reached Number 15 and State of Confusion, which took advantage of MTV to score a couple of hit singles with “Come Dancing” and “Don’t Forget to Dance,” peaked at Number 12. 1980 also saw the release of a solo Dave Davies album, although very different from the one the Kinks had worked on during the recording of Arthur. Dave Davies (AFL1-3603) featured the youngest Davies boy performing all the album’s musical instruments by himself and reached Number 42 on the American album charts. The Kinks continued on, touring and putting out music. Phobia (released in 1993), the band’s twenty-third studio album, featuring the wickedly funny “Hatred (A Duet)” would be their final disc and the Davies brothers officially broke up the band three years later. Fittingly, the Kinks’ final public performance was at the Clissold Arms’ Pub, right across the street from their childhood home in Fortis Green. The gig was to celebrate Dave’s fiftieth birthday. Since disbanding, both brothers have continued to write, play and perform, and to pen autobiographies, as well. Ray created and performed the stage show, Storyteller, which gave inspiration to the series by the same name for VH1. 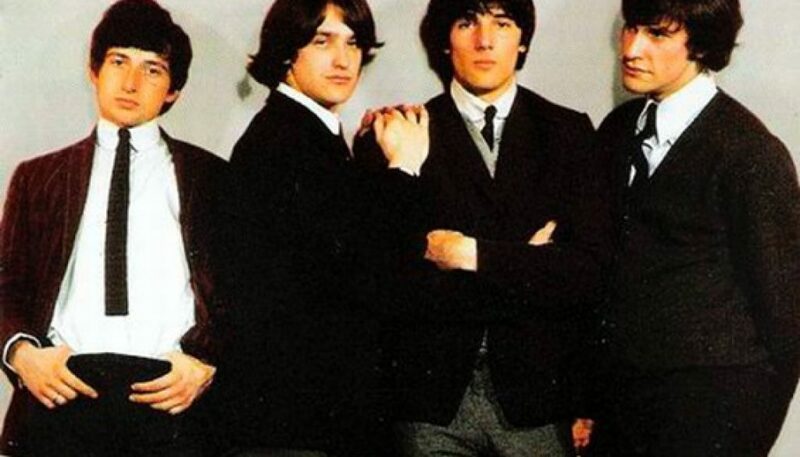 While there has been a lot of talk about a Kinks reunion, both brothers taking turns saying “it’s possible” or “not at all likely,” a true Kink reunion can never happen as Pete Quaife passed away in June 2010. Dave also has been busy. His 2000 disc, Dave Davies Live at the Bottom Line, demonstrates how energetic and rocking the younger Davies brother’s shows were. And although he suffered a stroke in 2004, he has gotten back to the point where he can play and record again, as evidenced by his 2007 CD, Fractured Mindz. And this past November saw the release of Hidden Treasures, a compilation of virtually all of Dave’s songs that were meant to be his first solo album that shows that maybe both brothers could have easily fronted their own bands.